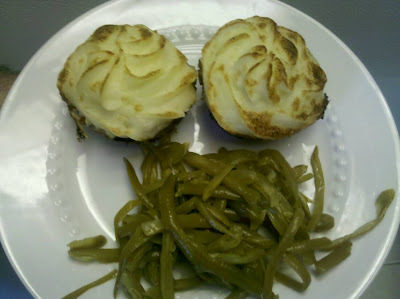 I found another recipe that I thought that I would try and it is meatloaf cupcakes! I have not eaten them yet because I am bloging about it LOL, but my family are raving about them! I found the recipe on the "foodgawker" and here is the link to the blog that I used to make mine! But mine do not look as good as the ones on the "Sticky Gooey Creamy Chewy" site but they taste great according to my husband and son. Another win! Flowers my sweet hubby gave me! Sure Sign of Spring.......Day Lilly ?